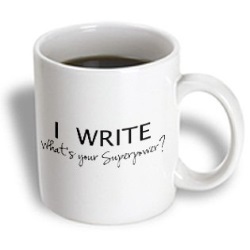 Here are some fun and practical ideas for gifts for the writer in your life - even (or especially) if that writer is you. 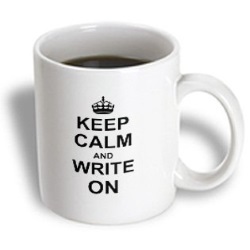 Check out also the section on Books For Writers for more ideas. 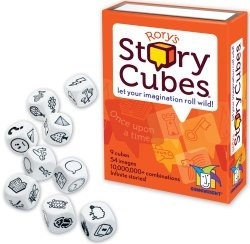 These cubes are designed for children and for play, but in fact they're a terrific way of dancing with your creativity. There are 9 dice giving 54 different images and an infinity of permutations. The images are deliberately vague to allow you to apply the meaning, and in searching for that meaning, your subconscious will create excellent stories. Great to use if you are stuck. 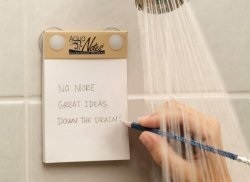 You know the way the best ideas happen in the shower? Well here's a way to capture them! No point thinking up that perfect twist or wonderful plot point if it gets forgotten. 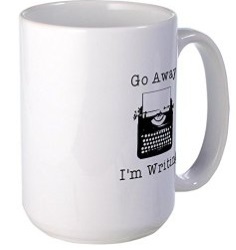 The writer in your life will thank you. 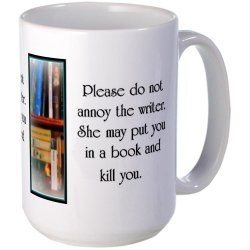 The text says: Please do not annoy the writer. They may put you in a book and kill you. 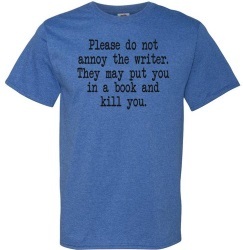 A fun and cheerful t-shirt for the writer in your life. This is a lapdesk - the perfect way to write on your lap. 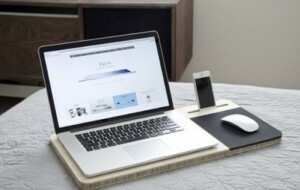 The base is made of beautiful bamboo, with holes for ventilation in it, and there's room for the phone and the mouse on the desk too. Beautifully crafted with huge attention to detail, any writer would love it.